The last two decades have seen an unprecedented transformation in the retail industry. The good thing is that the customer demand remained intact. In fact, it is growing steadily. However, there has been a transformation in people’s buying behavior and lifestyle choices. Competitive pressures are also phenomenally high. E-commerce players have disrupted the market. At the same time, physical retailers too are experimenting with new formats to bring down costs and build sustainable business models. On their part, customers are spoilt for choice and are more demanding. They seek the best quality, amazing variety and the freedom to shop seamlessly across channels, devices, and geographies. For retailers to survive and thrive in this scenario, they need to make the right technology investments to power their journey. Many retailers are already taking action. As per Gartner’s 2018 CIO Survey, 54 percent of respondents listed ‘expanding unified commerce (Omni channel) initiatives’ as a technology-driven strategy for the next 18 months. ‘Leveraging social media engagement’ and ‘increasing customer engagement’ were at 54 and 51 percent respectively in the same survey. At the same time, retailers who decide to rely on legacy technologies may save costs in the short-term but will have to face consequences in the long-term. Here are some of the biggest pitfalls of relying on legacy technology in the age of digital commerce? With legacy systems, data is often housed in separate silos that don’t talk to each other. As a result, these systems make it difficult to integrate all the customer touchpoints, especially external ones such as social media. This lack of integration makes it hard to provide a seamless experience throughout the customer buying journey. Retailers typically need to work with a large ecosystem that includes multiple vendors and customers. Managing these multiple systems and vendors makes it tough to create a unified experience. It not only adds to management overheads, but it also fails to create a seamless experience. Having customer data stored in disparate systems that don’t talk to each other means that the organization doesn’t have access to a single, real-time view of customer engagement, especially across different channels. This severely inhibits its ability to provide a superior customer experience that is differentiated and can drive loyalty. This also leads to a sub-optimal in-store customer experience since the engagement is not backed by online engagement data. In the world of retail, especially in areas such as fashion or perishables such as grocery, effective inventory management becomes an important factor to drive profitability. Having real-time visibility into inventory across the supply chain and different channels is important to ensure that inventory is at the optimum level. Also, the ability to track inventory across channels allows for better insights and planning. In retail operations, demand is often dynamic, with seasonal highs and lows. For example, there might be a sharp spike in sales during the festival season or when there is a sale. Legacy systems are often unable to handle these occasional peaks seamlessly, leading to crashed websites or billing systems, and consequently poor customer experience. Legacy systems do not lend themselves well to the adoption of newer digital technologies such as Cloud, IoT, Machine Learning, Artificial Intelligence, Chatbot, Augmented Reality etc. A modern core infrastructure that can communicate seamlessly with newer software and hardware is imperative. Legacy systems are generally more difficult to maintain and require more manpower and resources. Also, there is a greater chance of system breakdowns, which means that repairs etc. are needed more frequently. Therefore, operational costs are often higher for legacy systems as compared to lean, modern platforms. Over the years, the threat landscape has been evolving considerably, with newer, more sophisticated viruses and security threats that legacy systems may simply not be equipped to handle. Modern systems are far more effective in dealing with these security threats. 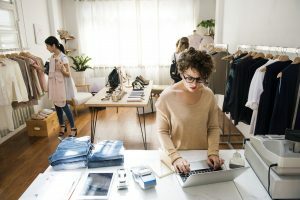 As the world advanced towards a highly digital environment, it becomes important for retailers to upgrade their infrastructure and future-proof their business to drive greater profitability and superior customer experiences.